Maria Costa is a Robotics Engineer in a robotics research laboratory (LSTS). She is a software developer (onboard software – control, guidance and navigation) and is also a part of both the AUV and UAS field operational teams (where she is the main UAS Operator: fixed-wing, multi-rotor and vtol vehicles). During the last four years she gained significant experience in field operations, mostly maritime environments (operating from ship) in cooperation with the Portuguese Navy. She also had the opportunity to participate in several national and European projects (Seagull, PITVANT, Safeport, NetOcean, NETMAR, Fire-RS, URready4OS, E-URready4OS) and annual big-scale exercises (REP14, REP15, REP16, REP17). 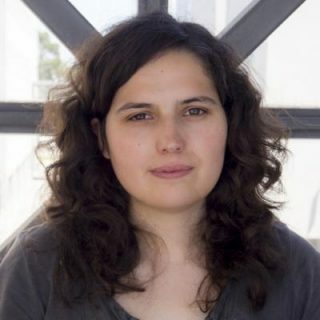 Maria Costa holds an Electrotechnical and Computer Engineering degree and a Masters in Autonomous Systems from School of Engineering Polytechnic of Porto (ISEP). Her master thesis is entitled “Assisted Maneuvers for Underactuated ROVs”. Prior to college education, she also graduated top of her class as a EU Level 3 Technician in Industrial Electronics and Automation. Throughout her college education she worked as an Electronics Technician and also integrated the IsePorto robotic football team (participating in a World Cup Middle Size League competition (RoboCup 2009) and in a couple of National Middle Size League competitions – Robótica 2009 and Robótica 2010).